In order to celebrate the holidays with my family, I had to get to Southern California from Sacramento. Although the Sacramento International Airport does have a brilliant new terminal with both Southwest Airlines and Jet Blue flying out of it–it took me 1.5 hours to get through security and to the gate, when I flew Veteran’s Day weekend. This didn’t include having to park a car and take a tram. So–let’s say, 2 hours to get to the gate, 1.5 hour flight–wait for baggage and get a rental car another hour easily–that is 4.5 hours. So, I decided to drive:) Renting a big car in LA–SUV, because I can’t stand having little bitty car is another expense I saved driving! The most direct route is I-5 and I could make it in about 5 hours. Easy…and very boring. 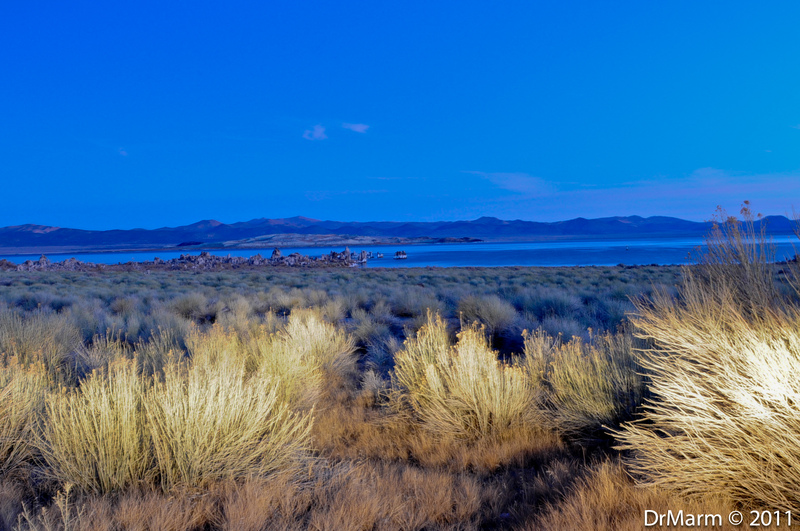 So, instead of taking 361 miles via I-5, I saw a sign as I reached highway 395 that said Los Angeles 399 miles–that was after I had already gone over 100 miles to get there. Reached my brother’s house with 471.7 showing on the mileage. 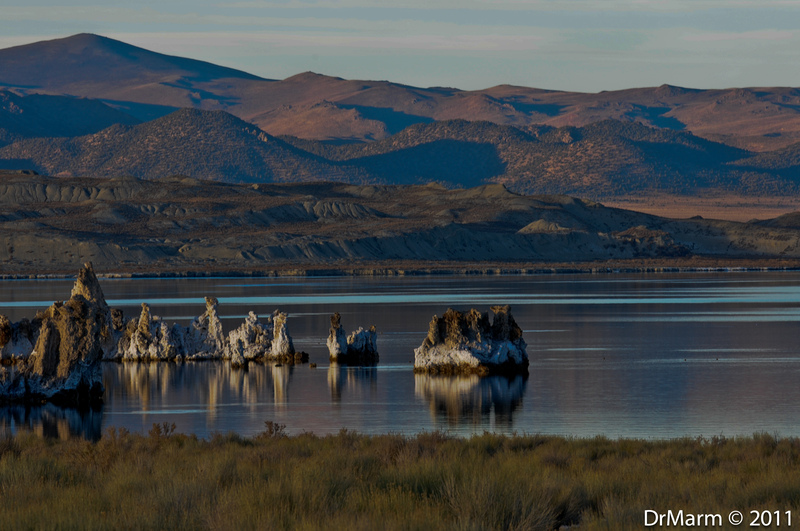 Mono Lake State Park was slated for closure, but fortunately came off the list a short while back! 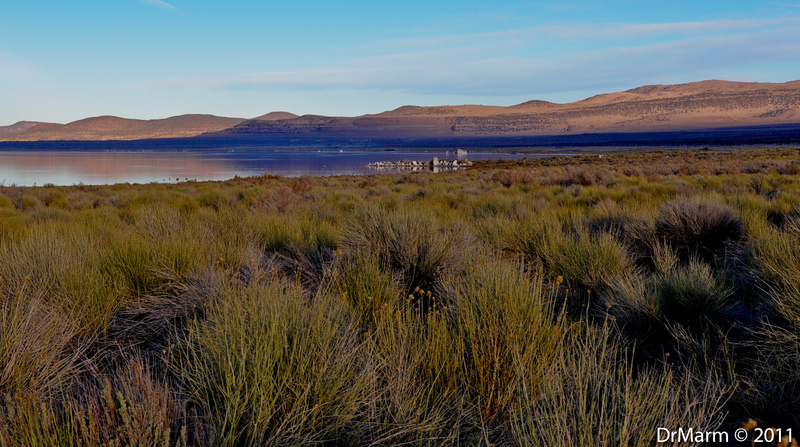 Lee Vining is the town closest to the South Tufa viewing area. This was my first winter visit, and not my last for sure! My first shots are from sunset on Tuesday. 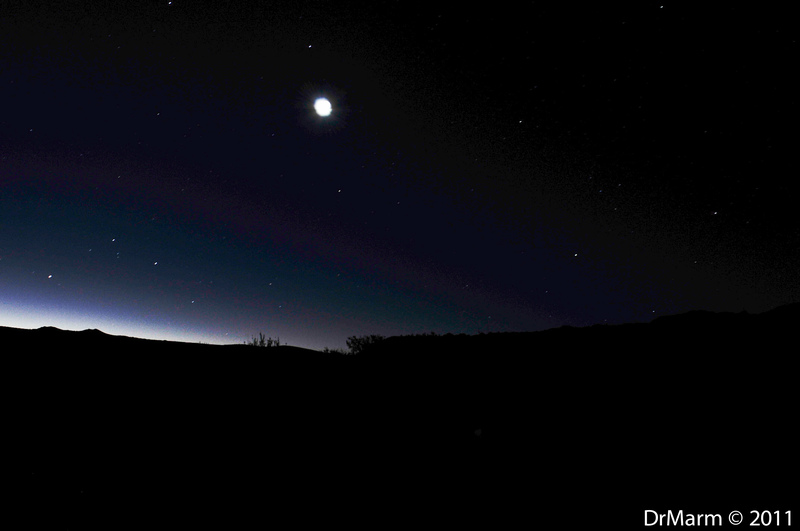 Not much color to speak of and very few clouds in the sky to be found–but still such beauty and captivating! In between night and day! Have a wonderful holiday season–may it be filled with joy, friends, and family–plus your camera! This entry was posted on December 23, 2011 by DrMarm. 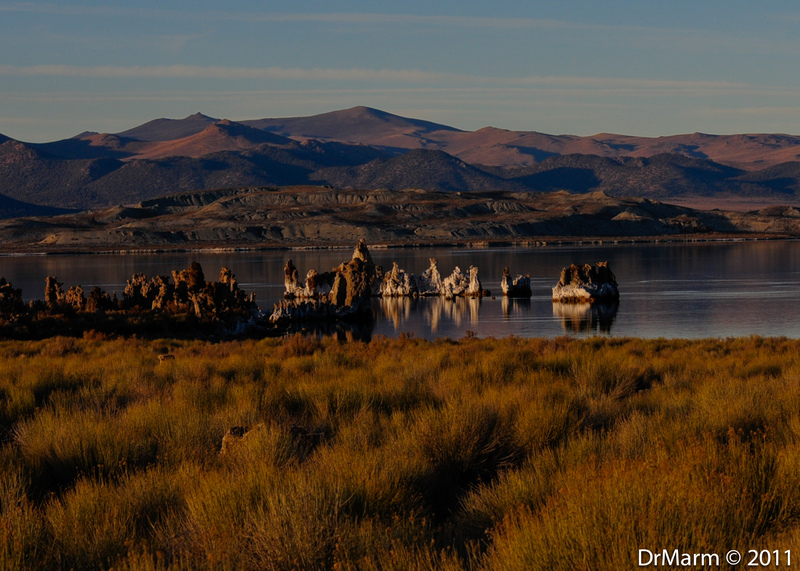 It was filed under Uncategorized and was tagged with south tufa. Love them all!! 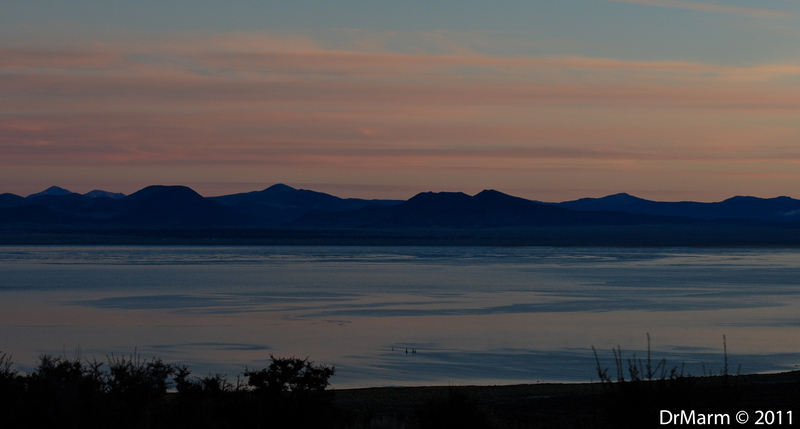 Maybe you should make a mono lake calendar. That’s a great idea–then I have a reason to visit numerous times a year!!!! Lovely scenic shots! It’s so interesting how the lake looks different throughout the day. Lighting really makes a difference. All are beautiful! Cool evening image. I will have to experiment with shooting at night someday. These photos are absolutely breathtaking! 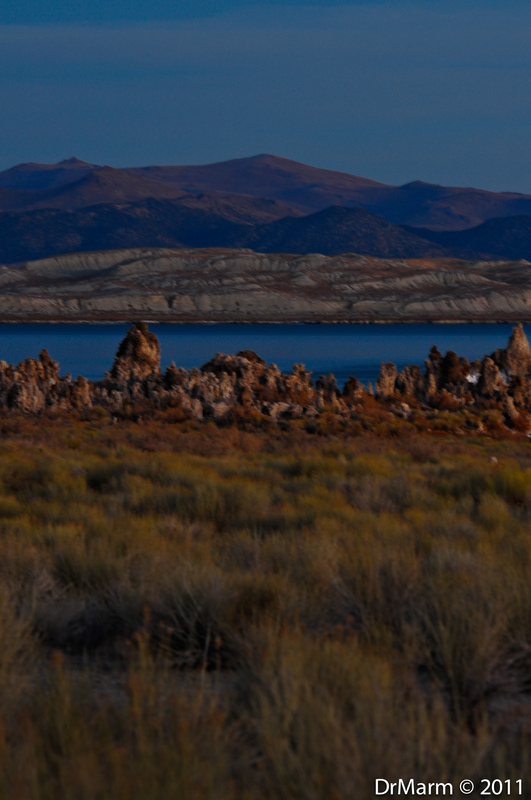 Keep visiting Mono Lake!